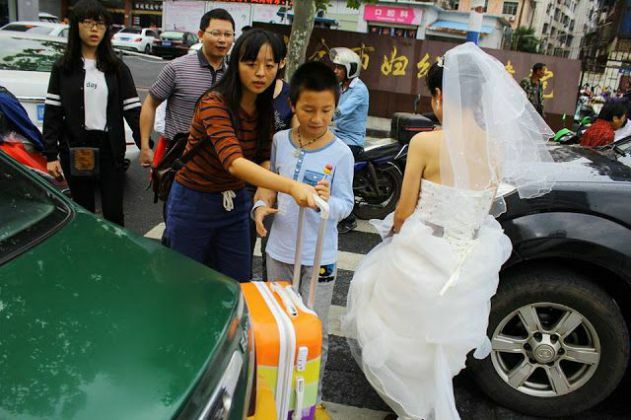 Home entertainment family Girls Guys Interesting love recent relationship slider Viral Section It was already past their schedule, but this bride still waits for her groom along the road! READ THIS! 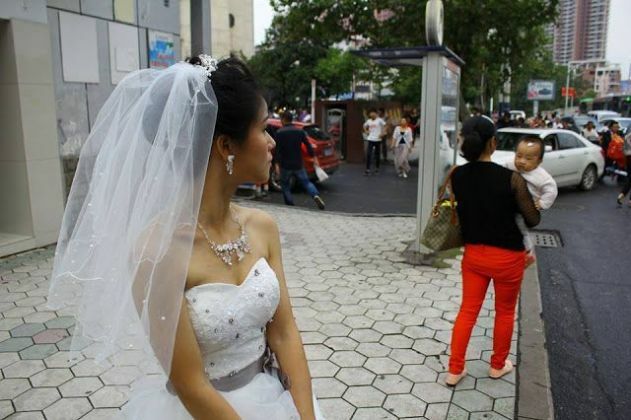 It was already past their schedule, but this bride still waits for her groom along the road! READ THIS! 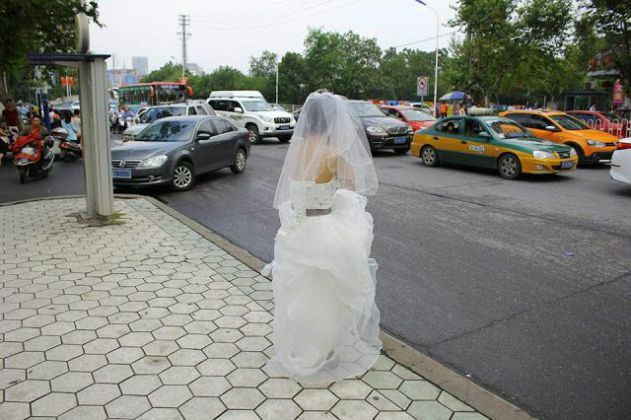 It was past their wedding schedule, but this bride still keeps on waiting for her groom along the road. Bride believes that her groom was just stuck in a traffic. Getting married is indeed every girl’s dream. 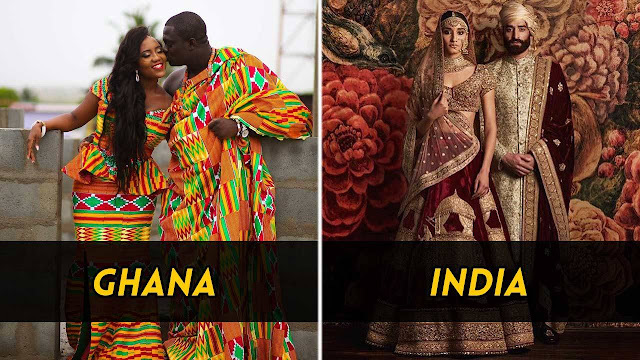 Most of them tend to plan their weddings for a couple of months or even a year for the special event to be perfect and memorable. But then, what would you do when your groom ended up not showing up during your wedding day? There’s this woman who was spotted beside the road in Xinyu, Jiangxi Province, China. 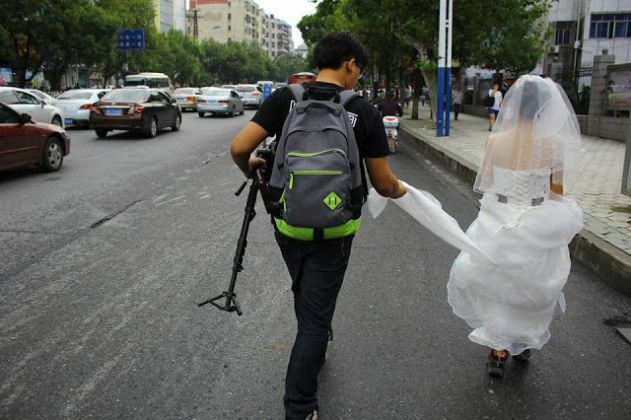 People noticed that she’s fully dressed in a wedding dress and standing beside a road don’t fit her. Reports then stated that she was scheduled to get married on the 1st day of October but her boyfriend/groom was nowhere to be found. It’s already past their wedding schedule but she’s still waiting for him. Reports also revealed that their wedding was scheduled on China’s National Day, wherein her groom was stuck in a traffic. Unfortunately, no reports were later on revealed if the wedding was pushed through.